For information about Debt Consolidation, Life Insurance and Broadband Internet Access, visit Useful Topics today! Anchor appointed agent for Speeda Lines of Singapore. Anchor Shipping & Trading (Pvt) Ltd was founded in 1972 as the successor organization to the local Pakistani operations of Anchor Line (UK). Subsequently, many sister companies have been created and outlined in Anchor Group. Anchor Line also handled the affairs of Italia Marittama S.p.A.(Formerly Lloyd Triestino ) (Italy) which merged their Karachi operations with Anchor Line in 1967. The company has a staff of about 20 employees in Karachi, and about 5 in our branch offices. We are focused on the Shipping Agency / Freight Forwarding business and are actively expanding into related transportation, shipping, logistics, supply chain management and buying/trading agency businesses. We are a member the Chamber of Commerce and Industry. Our Karachi offices are located in the Standard Chartered Bank (Main Branch) Annexe, in the heart of the commercial district, as we have been for 30 years. We also have upcountry offices to serve our customers. 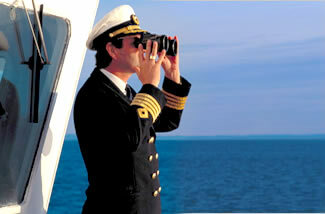 Liner Agency : Our company has a long history of representing major international shipping Lines. Currently we represent Maruba Line, Speeda Lines and through a group company, Emirates Shipping Line. Our past reprentations have included Anchor Line, EP Carriers and Lloyd Triestino. Dedicated resources and suberb service allow these Principals to have excellent customer loyalty and brand recognition in the Pakistan market. Ship Agency Services : For conventional, tramp, tanker, ro ro and containerized cargo we offer a complete range of professional services including supervisory, husbandry, survey and repair. We can arrange stevedoring services at competitive rates for any cargo. Our services are available for Karachi Port and Port Qasim. Our Shipping Department is fully capable of handling any kind of vessel. Trading Agency Services: Our company is well equipped to handle agency work connected with trading products/commodities in Pakistan. We have been the agent of Tate & Lyle of the UK for over 30 years taking care of all their trading in Pakistan. Its ability to participate in these markets is based on a strong reputation of financial integrity, technical knowledge, and relationships with suppliers and buyers. Our company is also involved in the import of bulk chemicals & export of cement and ethanol. Freight Forwarding : Our company is one of the fastest growing freight forwarders in the country. With a strong international and local network, we can provide our customers freight management, customs brokerage, inland transport, warehousing, consolidation and other facilitities. Aside from traditional freight forwarding, we are active in the transport and storage of liquids. We are specialist in ISO tanks and have strong links with the ethanol industry. Being one of the few freight forwarders with fully backed documents, insured carriage and financial support, we can negotiate terms with customers and carriers that other can only hope to match. We are are one of the leading logistics solution providers for NGO, government and commercial cargo to Afghanistan. We have a detailed procedural manual and excellent transport systems and clearance mechanisms to ensure trouble free transport to cities like Kabul, Kandahar, and Mazar-i-Sharif.